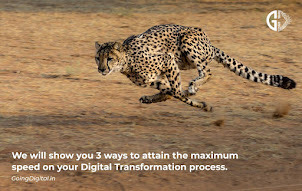 The digital transformation storm is sweeping various businesses like retail, banking, insurance, media, and travel and has entered into our personal lives. 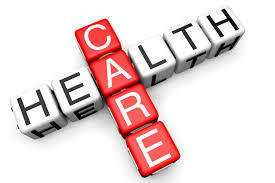 Another industry that has joined the above list by being hit by the storm is the healthcare. The advancements in digital technologies like cloud computing, mobile communications, advanced analytics and the internet of things have positively helped healthcare. Healthcare companies are among the most heavily regulated, facing unique compliance challenges. They were always struggling to figure out how to integrate, aggregate, harmonize and analyze all of the data they have captured, to discover actionable business insights. Further, accelerated time to market and adding value to patient’s lives are the key drivers for digital adoption. Digitization of healthcare has gone beyond the drug development. It is no longer providing the drugs alone but services as well. 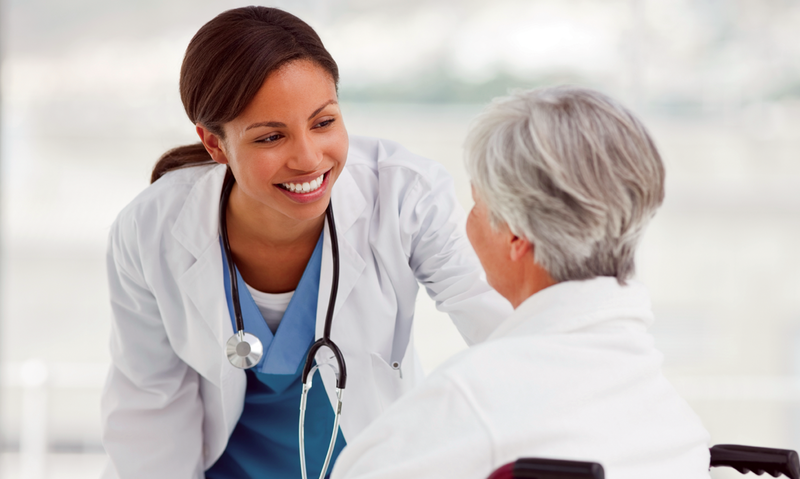 The healthcare industry had witnessed an impact on the entire product life cycle starting from the early drug development to delivery and finally patient care. Drug discovery is immensely helped by machine learning. Researchers will have access to much more detailed analysis on real-world data, which will assist in better understanding the effects of a drug. Internet of Things is used to digitally transform manufacturing and supply chain. Temperature sensing tags are used to monitor cold chain conditions and thus ensure and maintain product quality in transit. Electronic Health Records of any patient who is under the care of multiple doctors helps them to use these valuable data points to deliver appropriate treatment and make decisions about patient’s care. Wearables have improved the patient care substantially. There are many wearable devices that provide real-time monitoring of disease symptoms along with reminders for prescribed treatment. Ingestible medicines like Proteus pill sends patient data in a secure transmission to the physician, which helps in more accurate diagnostics and personalized treatment. Fitness wearables such as Fitbit and Apple Watch have increased the ability of patients to take responsibility for their own health. Portals like “PatientsLikeMe” are helping people with chronic health conditions get together and share their experiences living with the disease. Where newly diagnosed patients can improve their outcomes by connecting with and learning from others. Also, researchers learn more about what is working and what is not, so that they can develop new and better treatments. Patient engagement has become easy with mobile apps for recovering patients to help manage stress, find information, learn about caregiving and chat with a doctor. In clinical trials, digital is helping by standardizing data exchange and replacing several data repositories with a centralized information hub. Patient finder technology combines clinical knowledge with big data to allow drug manufacturers to identify potential patients that may have a disease that is hard to diagnose. With Telemedicine, Patients no longer have to schedule their routine follow-up visits but they can a video call to get the prescription update or check-up they need. With digital, consumers are now in the driving seat. They have better access to quality doctors and quicker wellness. Digital is helping healthcare and humanity. Millennials are those who are born after 1985 and grown up with the internet. They are the first to grow up surrounded by digital technologies like broadband internet, home computers, video games, social media, and smartphones. They don’t know what is a floppy drive or audio tape or beeper. Millennials are very different from their parents and grandparents. While my wife and I prefer to go jewelry shop and buy something for us, my daughter will order anything and everything on Amazon. So much cross-selling is happening to them that they take the decision in a split of the second. 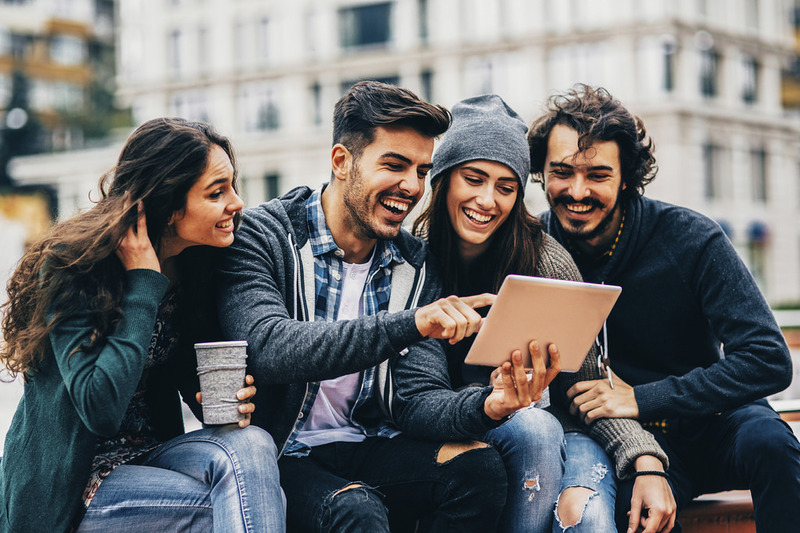 Millennials employ a variety of devices and are omnichannel to conduct research prior to a purchase and expect a seamless experience across every channel. On-demand is a way of life for them. They use mobile apps for transferring money, checking balances and getting loan approvals, or calling an Uber, watching movies they like. Further, they believe in using all the mobile payments like apple pay, google wallet or Samsung pay more than cash. This way ATM machines will vanish from the streets as the telephone booth had gone. P2P payments like Paytm are made more popular by millennials leading to less use of cheques or cards. They prefer to have the digital relationship with the service provider – whether it is a bank or telephone or insurance. They don’t want to visit physical branches anymore and want to get all their problems solved immediately – digitally. They value their time more than anything and instead of driving around to buy products they want to buy, they prefer online shopping. 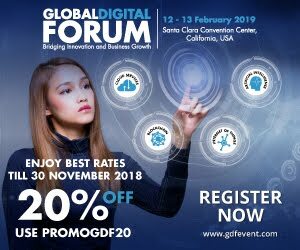 They are faster at adopting the innovative technologies like IoT, Augmented/Virtual reality, wearables or Artificial Intelligence enabled digital assistants. This has led to more and more businesses becoming digital to service them. 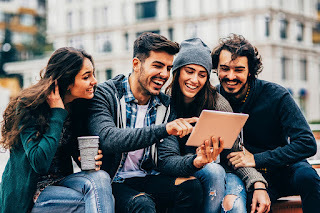 As we enter a time where millennials begin to dominate the global workforce, it is important to acknowledge and understand what they are bringing to the table and how times have changed and evolved for all generations. 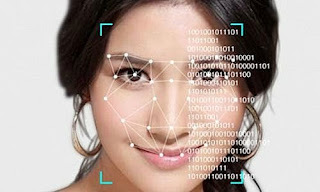 Facebook has used facial recognition technology since 2011, to speed up the process of tagging friends or people in photos. When a user uploads an image to Facebook, the site's algorithms recognize the faces of friends and asks users if they would like to tag them. Our lives have changed for good due to the digital tsunami – it started with internet in 1995, then in 2004 social media stormed the world with Facebook, then came iPhone in 2007 and the whole world changed. Every mobile company started making smartphones for easy user interaction. 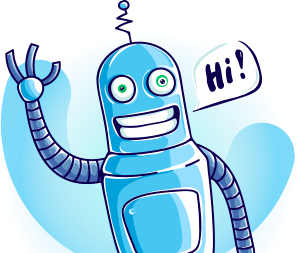 Today’s game changer is Chatbot !! 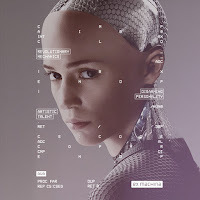 A bot is nothing more than a computer program that automates certain tasks, typically by chatting with a user through a conversational interface with help of natural language processing (NLP). You don’t have to scroll through thousands of products on the website, just order to a bot and it will take care of delivering it. There are 2 types of bots making inroads - Informational bots & Response bots. Information bots are like subscribing to a breaking news or weather alerts based on your reading habits while response bots are responding to a user requested problems. These bots should know everything about the customer they are talking to resolve the issues. Many companies are considering voice interface to ease out the interaction and save the efforts of typing texts. Users converse with chatbots just like they do with family and friends. Instead of asking your customers to visit the website & ask to find what they want or call the customer service, it is much quicker and easier to get direct answers via chatbot. With digital assistants like Apple Siri, Google Home, Amazon Alexa voice has become an integral part of the interaction. Chatbots, powered by artificial intelligence and machine learning, can learn our habits, understands our tastes and preferences and can be much more pleasant than a sequence of scroll, taps, and clicks to get to where the customer wants to go to complete an action. Imagine how easy it is by chatbot to order pizza, book a ticket, complain about a defect of the product you just purchased than calling a customer service, waiting for IVR choices and spend more time just listening to music or customer rep. The travel industry has plenty of areas where chatbots can help to take the burden off the staff, and also enhance the experience for customers. Everything from booking hotel rooms and flights to renting a car or providing assistance during a trip could be successfully handled by a chatbot. Chatbots in healthcare are helping patients with common treatments by asking simple question and answers about symptoms. Customer service is the most common area where chatbots are used today. As NLP is constantly undergoing breakthroughs, chatbots will be able to interact with humans more seamlessly.